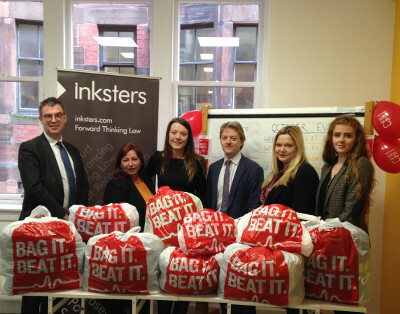 Inksters Solicitors kicked off a fundraising campaign in aid of the British Heart Foundation yesterday by crowning their “Bag it. Beat it.” champion. 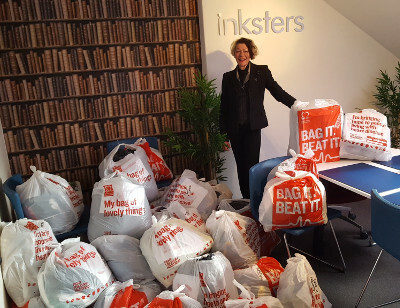 Staff members in all Inksters offices were asked to have a good rummage through their wardrobes and donate any unwanted but good quality items. The winner, Joanne Romanis (pictured below) in the firm’s Forfar office, was crowned with an Inksters’ “Bag it. Beat it.” gold crown and won a voucher for her restaurant of choice. The British Heart Foundation is the nation’s leading heart charity and the largest independent funder of cardiovascular research. By contributing, #teaminksters say they have helped to fund research to help better diagnose and treat people with heart disease.